Established in 2010 to honor those who perished in the 9/11 attacks, the memorial consists of two 11,000-pound beams from the Twin Towers. Behind the beams stand a pair of six-foot tall black granite walls inscribed with remembrances of the events in New York City; Washington, D.C.; and Shanksville, Pennsylvania. PERCHED ATOP ONE OF THE BEAMS IS A BRONZE, LIFE-SIZE SCULPTURE OF AN AMERICAN BALD EAGLE, with wings outstretched and gazing east toward New York City. This tribute stands as an ongoing, permanent reminder of the sacrifices of that day and how our nation responded to that day’s devastating events. 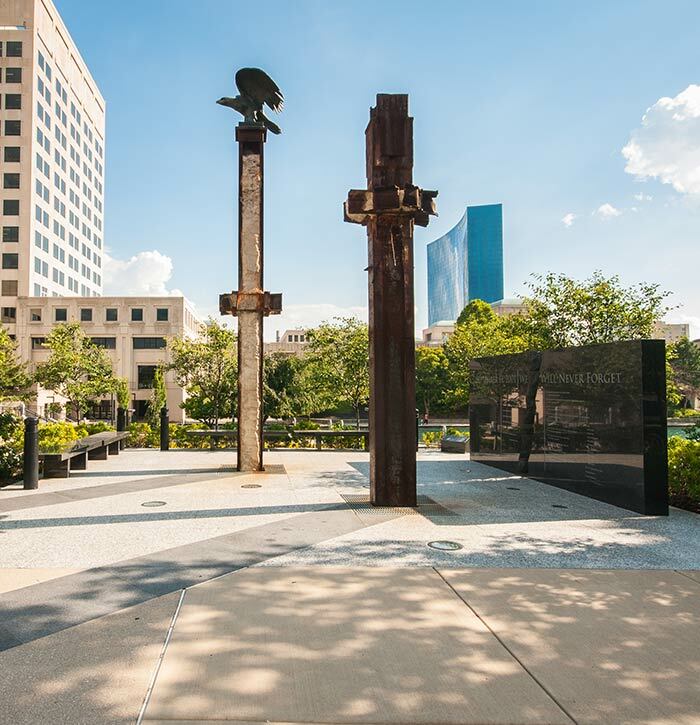 On September 11, 2011—ten years after the horrifying events that changed our nation—dedicated citizens unveiled the 9/11 Memorial in Indianapolis. 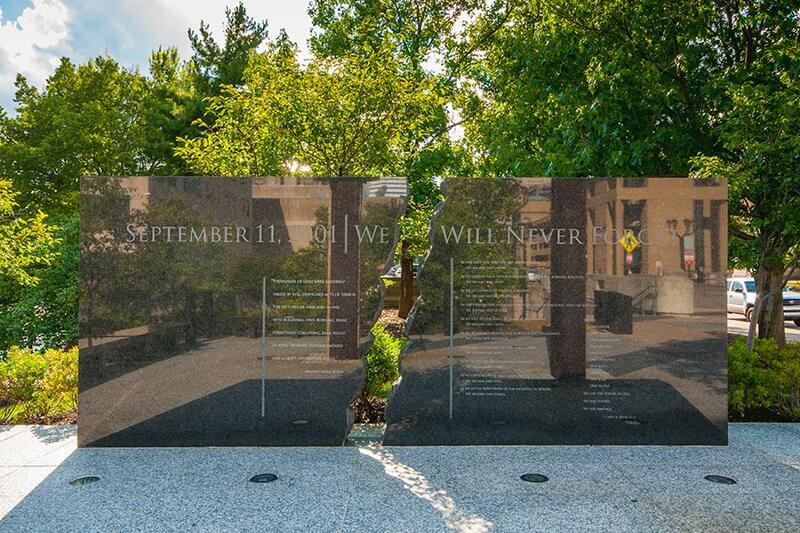 The memorial is located next to Indianapolis Fire Station 13 in downtown Indianapolis along the Indiana Central Canal.